The whole world knows that our country, Philippines has been hit by the powerful and destructive Super typhoon YOLANDA with international name of HAIYAN on Nov. 8, 2013. The Visayan region has been badly hit specifically the Leyte province. The destruction it has brought is so overwhelming and so painful to see bec. so many lives and properties are lost. The help is overflowing now, many countries have sent their aid already and I just prayed that they will be sent to the victims as fast as they can for the people are getting desperate already. There are so many ways to help the survivors like giving money, clothes, food, water, medicines and helping in the packing and distribution. We can do our own little way to help the victims. ABS-CBN Store is selling "Tulong Na, Tabang Na, Tayo Na" T-shirts at their online store and they will be available at select Ayala Mall stores by November 15. All the proceeds will go directly to the to Sagip Kapamilya relief efforts for Yolanda Victims. 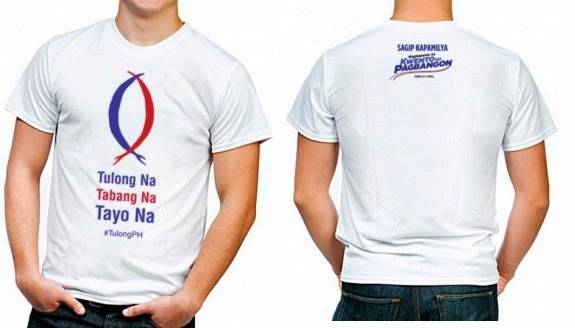 You can help by buying the shirt that costs Php P250.00 available at ABS-CBN Store. Shipping and handling fee will be added to the cost when you check out, so roughly it will be around P375.00 each (depending on the shipping area cost). NOTE: I placed my order at ABS-CBN Store via shopinas on Nov. 13 and finally got the shirt today (Nov. 27). .. So if I were you DON'T ORDER ONLINE.... buy them at physical stores na lang if you don't want to wait for long time. It took 2 weeks for my order to arrive. 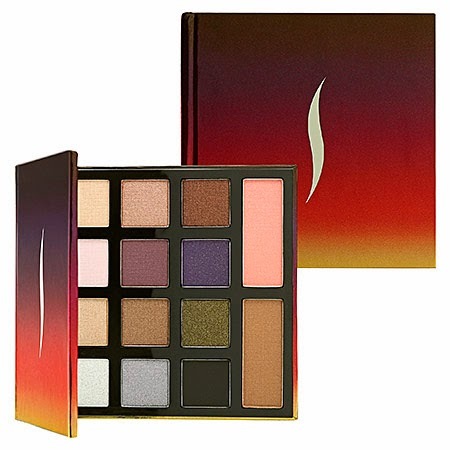 Found this very affordable SEPHORA COLLECTION Desert Sunset Eyeshadow and Blush Palette for only $10.00. Perfect for personal use or as gifts to girl friends this Christmas. I hope you've already started your Christmas shopping because I have been buying gifts already. I don;t want some hassle on December so I'm buying them early. Anyway, here's the sale : original price: $16, now $10. 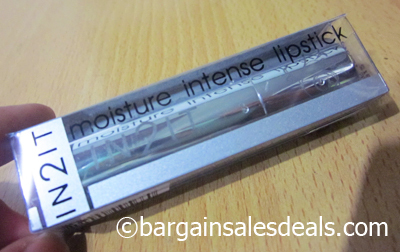 Get this now at Sephora bec. it might run out soon. Finding your way through the range of credit cards available these days can be daunting, but there are points to remember that will help when it comes to the final decision. Researching your options before signing the application is the key to finding the right credit card to suit your needs. Using online credit card comparison sites is one of the best ways to find the right card and save money. Comparison sites can tailor credit card choices to your specific requirements whether you wish to transfer a balance or are looking for the lowest interest rates. Always remember to check more than one comparison site; they will not contain every lender on the market and using two or more sites will widen the search. Don’t forget to check out the credit card offers on the high street or through your own bank and look out for those introductory credit card deals for new customers. The annual percentage rate (APR) you receive will be one of the deciding factors towards how much your credit card is going to cost over the long term. A low APR is always desirable and 0% interest rates may look like the best deal but always read the small print. Most lenders will only offer 0% interest rates for a specified amount of time and if you break the terms and conditions then the higher interest rate will kick in. If you are someone who finds it difficult to repay your balance on time, every month, low interest credit cards might not be the best option. Most lenders will use some sort of incentive with credit cards to new customers whether it’s shopping points or cashback rewards. Again, these rewards can be a good deal if you stick to the terms and repay on time each month. Never choose a credit card solely on the rewards offered, always use the APR as the deciding factor. If you are looking to transfer an account balance onto a new credit card then research introductory offers such as 0% balance transfer offers. The best deals for balance transfers will come with extended 0% lifespans of around one year to 18 months. One of the golden rules when researching new credit cards is to never complete an application until you have decided on the right credit card. Multiple applications will leave a footprint on your credit reference and this will be a warning sign to lenders, which could influence their lending decision. 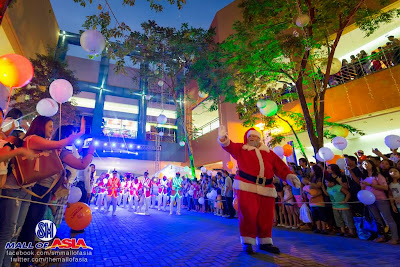 Bazaars and sales are everywhere now for Christmas is just few more days away. Start your Christmas shopping early just like what I am doing these past few days to avoid Christmas rush. 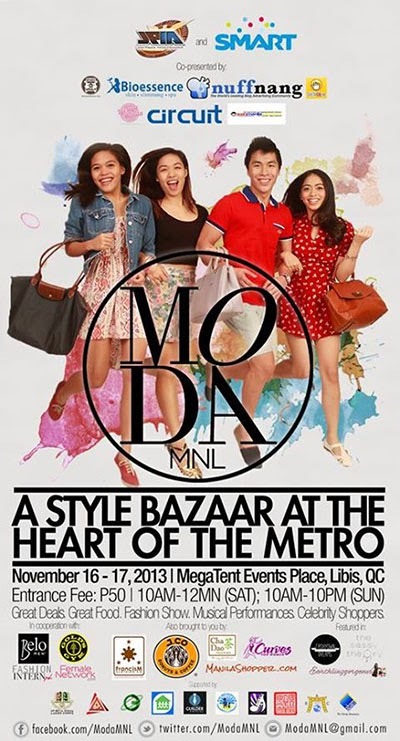 MODA MNL will have a bazaar this Nov. 16-17, 2013 at Mega Tent Events Place, Libis QC. Time flies so quickly and few more weeks it's Christmas once again! I hope you're already starting to get your Christmas shopping list for gifts ready for it's never to fun to shop rush during the holidays. Personally, I have started my own list this early so I can know where to shop those items. Doing so, it can make me schedule my shopping trips. It is also the best to shop early to avoid rush and stocks are still plenty. Knowing the likes of every family member or your friends can be overwhelming but once you know their hobby or what they fancy, it can be easier to pick gifts for them. 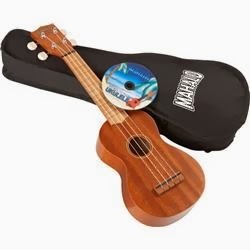 Music lovers will always love instruments or music accessories so it's better to check out the best ukuleles at guitar center and other items. There are some gorgeous and stylish leather riding jackets for the ladies that enjoy riding every bit as much as the men; unfortunately, some shoppers may have difficulty finding resilient and durable riding jackets in local venues. Most ladies leather jackets in conventional retail venues simply are not made for performance- and when they are, style could be sacrificed. That is why it makes sense to check out some of the fantastic jackets that can be easily ordered from reputable vendors online, in styles that match up to the durability and wear given. Bikers will agree that a good leather jacket is integral when riding a motorcycle, and there are some really fun and stylish selections found from sellers online. 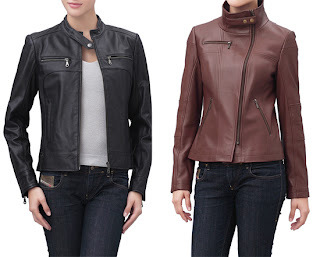 Consider the available styles of leather motorcycle jackets for women at LuxuryLane.com; this site carries top quality apparel for those discriminating buyers who are looking for something that will stand the test of time- both in terms of quality, and in details that will keep products in style and fashionable for years to come. A good leather riding jacket can be so much more than a wardrobe staple; in some instances, it may be the only protection afforded those who ride regularly. Consider online styles and pricing to determine the best investment when buying women's leather jackets. These past few days, I always wanted to wear something light and comfortable when going out.I love wearing those comfy leggings for it makes me feel relaxed and unconstrained. Passed by a new store in our neighborhood where imported goods mostly from Bangkok are sold and scoured the racks of clothes that they have there. 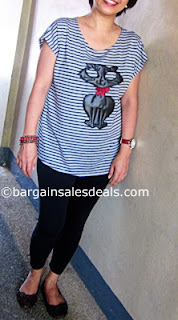 I have seen quite a lot of nice blouses, shirts and dresses but unfortunately the sizes are almost always FREE SIZE so most of the times it's too big for me. I've got a small frame so free size styles usually don't fit my body shape well. 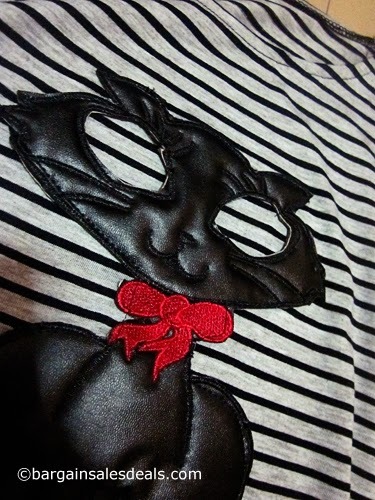 Saw this stripes black shirt with black cat stitched to it and I thought it's nice. It would have been nicer if it's a dog because I'm a dog lover but when I tried it on, the size is not too big for me so I bought it. 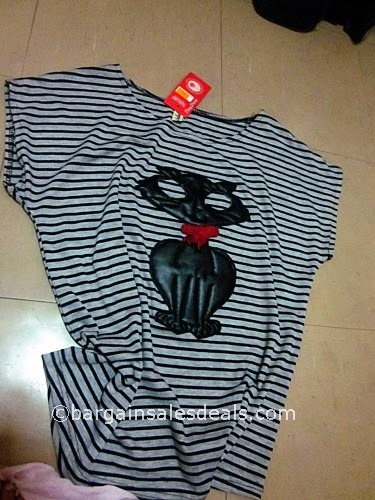 It's only P350.00 but I guess I can get it at much lower price if I bought it in Divisoria hehe. I matched the shirt with my comfy cotton leggings and flat shoes. I wore my red strapped watch with my bracelets that also has red color in it to add some color. Every home should be equipped with home appliances that we need to use on our everyday living. Nothing beats a home that is fully equipped with basic appliances for it can make our life much easier. Just imagine the hassle that it can give you when you don’t have a working cooking range or stove when preparing and cooking foods for your family. Apart from that, a refrigerator is definitely a must-have for every home for it is where we store our food supplies and left-over foods. 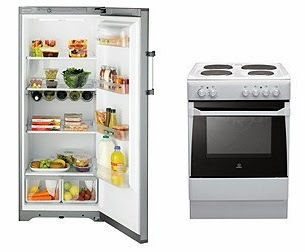 There are also affordable and modern fridge freezers with latest features that you can buy. Here are some few tips to on how to get great deals on home appliances. Before buying any appliances for your home, always make sure to know the measurement of the area where you’ll put your appliances especially if they will occupy big space in your kitchen or any room in the house. Doing so, it can provide you an idea on how big your washing machine, ref or TV that you need to buy. Getting a wrong size can also give you problem in terms of room space in the end. Browsing through leaflets, catalogues and websites of various brands can provide you with the latest styles on some home appliances. You can already know ahead of time their latest models and read new features of the appliance that you are eyeing to buy. It’s always better to check prices on various stores to get a good discount. If you are purchasing online, comparison websites allow users to compare prices of various products on different stores online using your computer or mobile devices. Stores always give discounts and promos to their customers from time to time so be sure to subscribe to their newsletters or social networking sites to avail of these promos. 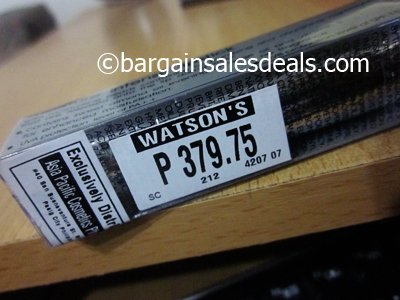 Some stores offer a great discounts most especially if they have few more stocks left. It always helps consumers in knowing more a product when they read reviews online. Your friends or relatives can also provide you a good hindsight about a certain product. Purchasing home appliances is always exciting but be sure to inspect the items thoroughly if you are buying them on local stores. 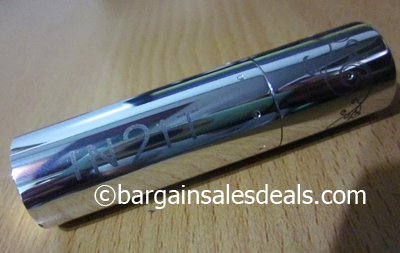 Check this sale! THE GREAT BRAZILIAN MADNESS that's going to happen at Trinoma Activity Center from Oct 10-13, 2013! Selected item of footwear brands like Ipanema, Grendha & Rider will on SALE at up to 60% off. 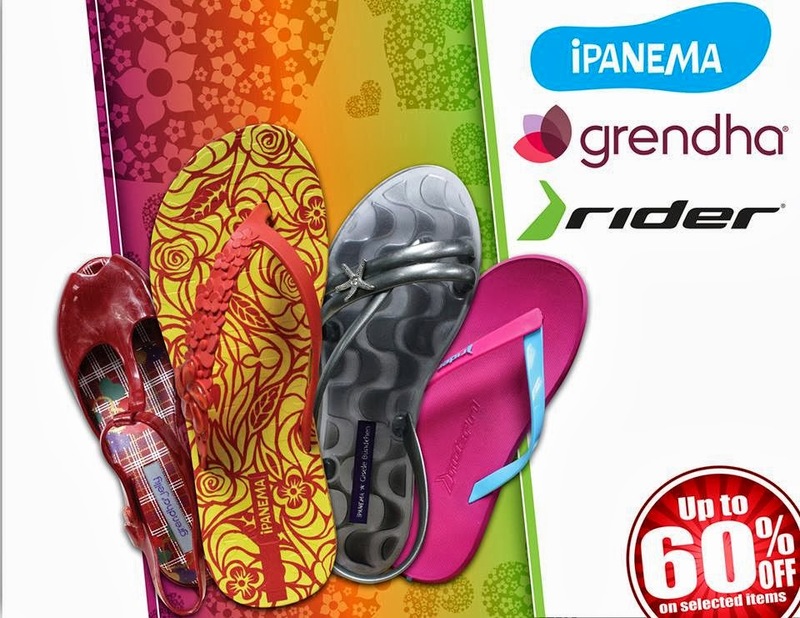 I love Ipanema and Grendha because they are durable and fashionable as well. 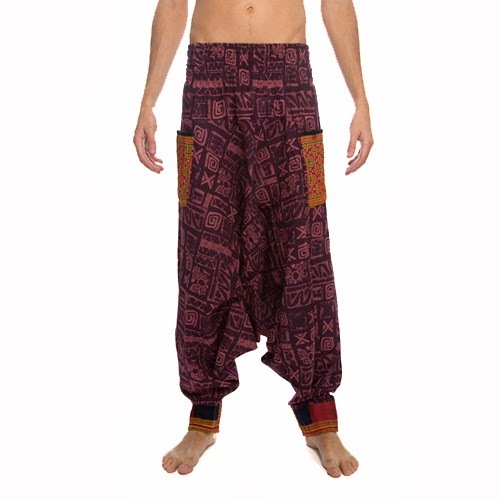 They have been called many different names at different points on the fashion timeline: genie pants, harem pants, and Thai fisherman pants at KhwanPants.com. Wide at the thigh and in the seat and tapered at the ankle, the pants were a recurring prop in high-profile dance routines by late 80s celebrity performer MC Hammer. A more feminized, and more fitted, version of the pants became the easily recognizable uniform of Barbara Eden when she played Jeannie on the mid-to late-60s sitcom "I Dream of Jeannie." The show had a magical realist premise, since Jeannie was gifted with certain superhuman powers. Many who choose to genie pants cite comfort as the major inspiration. The roominess in the unfitted crotch area gives those who are very active plenty of room to move around. This eclectic garment also makes a bold fashion statement. Because the pants are not designed like traditional trousers, the ballooning effect captures much attention when the wearer walks in them. Fashionistas almost have to wear an understated shirt in order to have some balance in their look. As a result, most people wear shirts that are easily tucked in, fitted at the waist or minimalist like a tank top. Women who wear tanks with harem pants might be seen in a simple shrug to help make the look softer and more feminine. Sneakers and flat shoes like ballet flats or slide-ons are not a good fit for this look. The almost make the pants look too casual and clownish. However, the right strappy sandal or flashy heel helps the pants live up to their full potential: odd but slightly sophisticated. 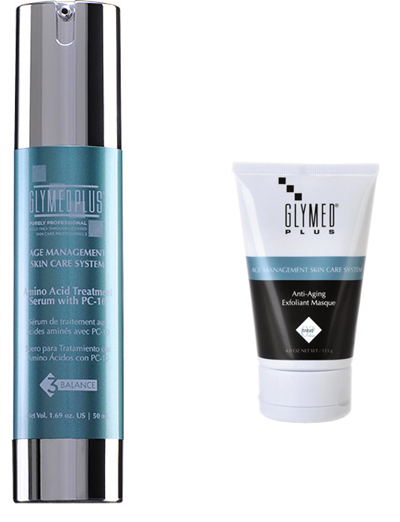 There are many anti-aging solutions to reverse and decline the natural process of growing older. You don’t have to stop doing all the active things you love to do just because you’re getting old in years. The more experience you have, the better you can be at everything you love. The first step is to change how you think about getting older. Just because you’re turning 30, 40, or 50 doesn’t mean you’re old. Try to think of yourself as experienced. One of the best things you can do to keep yourself from the negative effects of growing older is exercise. Exercise doesn’t have to be high intensity, heavy weight, or even in a gym. You can exercise in any environment whether it is your own home, a gym, or your neighborhood. Just keep moving, and you will be much healthier. Nutrition and other lifestyle habits like smoking and drinking can play a large role in how you age. A steady diet of whiskey, cigarettes, and chocolate donuts could speed up your aging process quickly. It is important to enjoy all things in moderation. Of course, cigarettes are the exception to that statement. Avoid smoking if at all possible. Nicotine addiction and toxic additives will age you quickly no matter what. A little bit of alcohol and tasty treats here and there is perfectly normal and should be enjoyed. Your skin is the largest organ of your body. Take care of it so that you will look and feel younger. Many companies offer creams and lotions that work as therapeutic anti-aging solutions. It doesn’t matter how old you are or you feel like you are now. Taking steps to get physically active, improving your nutrition, and taking care of your skin can help you look younger. More important than the way you look will be the way you feel. 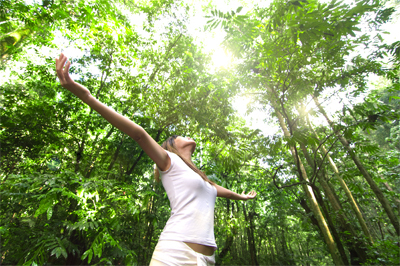 A healthy lifestyle can make you feel younger, sharper, and full of youthful vigor and vitality. Take some steps in the direction of a healthy lifestyle today. I'm already getting bored with my MAC housewine that I've been using almost every day so I thought I'd try different shade this time. Since, there's no MAC store near our place, I just thought I'd drop by SM and went to the make-up section. 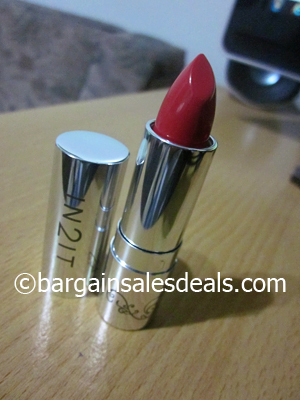 A friend of mine uses IN2IT cosmetics so I wanted to try it for myself and I bought this IN2IT Moisture Rich - Peachy Lipstick. Thank heavens the saleslady was very accommodating and helpful to me and she recommended and tried some few shades on me so I can have a lot of option to choose from. 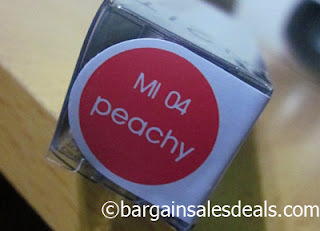 I tried this MI04 Peachy shade and I liked it. ~It's not too red for me. The thought of proposing to your lover may fill you with a sense of foreboding urgency and excitement, but you also may feel an unsettling quake in your stomach. Marriage is serious business, and even if you're sure your beau will say yes without hesitation, it's perfectly natural to have cold feet. In fact, not having doubts is a bit unusual. Even if you don't doubt the strength of your relationship, it's common to have feelings of inadequacy. However, you should never let such negative feelings overwhelm you and take control of your decisions. It's better to go with your heart and take the plunge rather than waiting forever in a limbo. Your loved one may even be wondering why you haven't popped the question yet. It's the customary tradition to symbolize the journey of marriage and engagement with a ring. The most common and revered gem of choice is a diamond, but there's certainly no law that dictates one must propose with a diamond ring. The tradition of gem encrusted rings is more of a social custom, and it can be tailored to fit any couple as they choose. Some couples even forgo rings altogether, while others seek out less traditional materials. Affordable diamond engagement rings at SkydellDesign.com are an excellent choice for those who are on a budget. Buying a ring in a jeweler may just set you up for a world of debt, and you'll be more likely to find sweeter deals on the web than in person. The music lover can’t go wrong these days, an age when there’s no accounting for taste and the styles of music have grown so varied, so fast, the recording and playing devices have gotten so much more amenable to suit everyone’s needs - that it’s hard to imagine a space inside this dimension of ours where a [insert genre here] buff can’t listen to his or her mix. Also in step with this spectacular growth and openness is a tolerance like never before as regards the stunts pulled by our beloved music idols. Whether you’re watching live gigs on YouTube via your charter internet, replaying concerts on EPIX or actually getting into the groove in the mosh pit, you can be sure that you’ll be treated to some sort of fashion(?) bonanza or horror show when the performer is, say, Lady Gaga. However, most of us living in the now with such gusto tend to forget she wasn’t the first to use her appearance to shock, to draw eyeballs and set tongues wagging, or to make a statement. The list of forerunners is actually pretty long and so, we venture a prediction, will the roster of names following on Gaga’s coattails. Or fur tails. 4. Björk’s notorious swan dress she wore out of pure love for the bird at the 2001 Oscars, drew so much fire it even has its own Wikipedia page! So, in the wake of that MarjanPejoski-designed disaster, it is mind-boggling to see others try to pull a similar fast one on the fashion police - like Daphne Guinness did when she showed up at the 2011 Met's Costume Institute Gala in a white, feathered and crinolined Alexander McQueen. It must have been a fashion statement… we just need to figure out the message. 3. At the 2010 Scream Awards, singer M.I.A. made quite a splash when she appeared in a burka - her eyes throwing proud glances around through a slit in the garment that covered up everything else, save for her high-heeled feet and velvet-gloved hands. The fashion pick was arguably meant to shed light on the State-mandated burka bans that were infringing rights left and right around Europe at the time. The history of humanity is full of great artists and their extraordinary works of art. There are several paintings that have obtained international fame and recognition. In determining the popularity of such paintings we must take into account both the number of reproductions, as well as how famous the paintings are (how easy it is to recognize them). So, here are 4 incredible paintings you should see in a lifetime. Also known as “La Gioconda”, this is a famous painting of Italian artist Leonardo da Vinci, made between 1503 - 1506 during the Renaissance in Florence (Italy). This painting represents a woman with a thoughtful expression and an enigmatic smile, barely sketched. The ambiguity in facial expression, the composition, the subtle forms and illusory atmosphere are unique qualities that contributed to the continuing fascination and study of this work. Mona Lisa is the most famous painting in history and also the most recognizable (most easily recognized) painting in the world. Few other famous paintings have been reproduced and discussed as much as the Mona Lisa. It currently hangs in the Louvre Museum in Paris, the main attraction for any visitor. Mona Lisa is an oil painting on poplar wood with a size of 77 cm x 53 cm. The main feature of the portrait is the enigmatic smile. Another interesting feature is that the background is not not balanced, the left side is obviously at a level lower than the right one. “Water Lilies” or “Nympheas” is a series of approx. 250 oil paintings of the French impressionist Claude Monet. These works depict the artist's flower garden at Giverny and were the center of his artistic career in his last 30 years of life. Many of these works were painted while Monet suffered from cataracts. These paintings are displayed in museums around the world: Marmottan Monet Museum in Paris, the Metropolitan Museum of Art in New York, the National Museum of Wales etc. Paintings from the “Water Lilies” are very popular, one of the painting being sold for 41 million pounds. 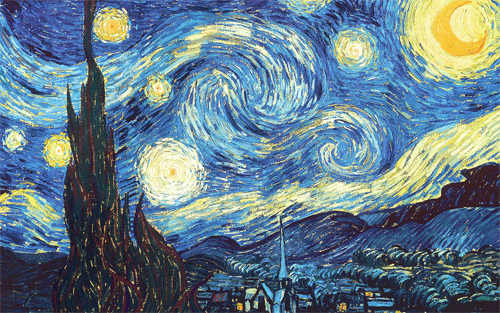 Another world famous painting is “Starry Night", the best work of Dutch post-impressionist artist Vincent van Gogh, painter mentioned in a recent article about genius and madness. Painted in oil on canvas in 1889, this painting is one of the most recognizable, most replicated and most popular in the world. You can see it at the Museum of Modern Art in New York City. The painting depicts the view seen at night from the window of the artist’s room, while he was hospitalized. It was painted from memory during the day. The central part shows the village of Saint-Remy under a whirling sky, viewed from the north of the asylum. Due to the extraordinary talents of Italian genius Michelangelo Buonarroti, the Sistine Chapel in Vatican has become one of the most famous art galleries in the world. The dome of the Sistine Chapel was painted by the artist in 4 years (1508-1512). Although he was supposed to paint the 12 Apostles, when the work was completed, there were over 300 figures in 500 square meters. One of the things that I wish I am is being tall, I'm not lucky though. Anyway, these days, anyone can be tall enough as there are so many nice pumps that we can buy. I hope I can pull wearing a Christian Louboutin Toutenkaboucle Buckle Sandal just in case I want to be taller and wants some attention. This sandal costs about $995.. awww! This shoes will definitely attract a lot of attention and for those that are are bold and brave enough to wear something like this will surely catch their attention.